The Buffalo Philharmonic Orchestra’s Friday Coffee Concert was historic in a way. In addition to the usual jelly and jimmied doughnuts, they had paczki and fastnachts. These pre-Lenten pastries were a little late according to the calendar year, but they were right in keeping with the concert, which is all about the glory of Polish music. And if fastnachts are German, that’s fine, too. Mieczyslaw Karlowicz’s Symphonic Prologue to “The White Dove,” which opened the concert, has a lot of Wagner about it. 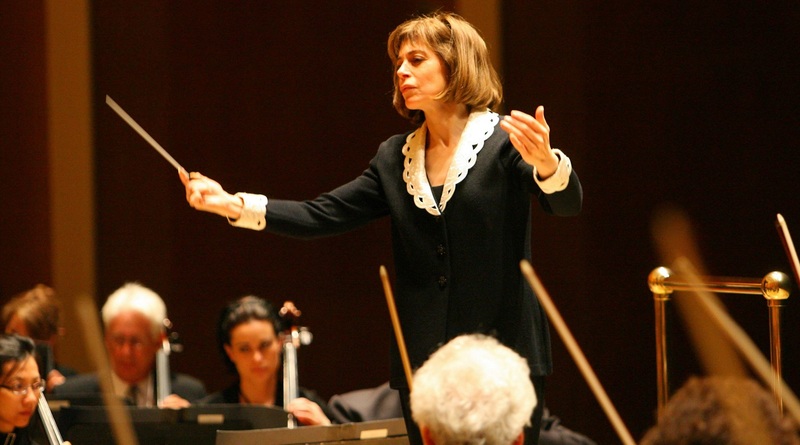 Once again, BPO Music Director JoAnn Falletta has put together an interesting set of pieces, from obscure to well-known. Following the Karlowicz, you hear Krzysztof Penderecki’s Concerto For Horn and Orchestra, “Winter Journey.” And the concert ends with Chopin’s eternally popular Piano Concerto No. 1. A “brava” to Falletta in particular for that opening piece. Born in 1876, Karlowicz lived only into his early 30s. He was, unfortunately, a mountain climber, and he died in an avalanche. People still leave bouquets where his body was found. When you hear his music, you get an idea why. This piece is beautiful. It is Wagnerian in its poetic use of clarinet, oboe and brass, and its sudden passionate outbursts from the strings. The orchestra played it lovingly and it was soaring and satisfying. Karlowicz wrote this 11-minute tone poem when he was 24. How sad it was to lose him. The Penderecki concerto featured Jacek Muzyk, the BPO’s principal horn player, as soloist. It had a completely different appeal. The beginning is something to experience, especially in the clarity of Kleinhans Music Hall. The piece starts with a kind of subterranean hum. It sounds as if the hall’s heating system is kicking on. The horn also makes a weird entrance. It sounds at first as if it is part of the orchestra, and the solo voice emerges only gradually. When it does, it carries beautifully into the hall. The music could be called fragmented, and it never capitalized on the horn’s unique, transcendent serenity. But it is full of melody and it holds your attention. Its spiky lines make me think of Prokofiev, and so do the echoing exchanges the horn has with the orchestra and with other instruments. Muzyk, who is from Poland, gave the piece energy and conviction. Friday’s applause won us an uncompromising encore, “Appel Interstellaire,” or “Interstellar Horn Call,” by Olivier Messiaen. The five-minute tour de force ran the gamut of horn sounds, from grunts to whinnies to sighs. Abstract as it was, Muzyk’s skills are such that it was weirdly intriguing. The Chopin concerto featured guest pianist Yoonie Han. She walked out in a bright green gown. Unusually constructed, it had a separate section that she tossed over the back of the piano bench. Other than that bold fashion statement, she showed herself Friday to be a wan performer. Her main strength is a certain delicacy of movement. She can pounce on handfuls of notes and flick them off just so. She fell short in communicating the charm of the piece. Chopin should be sensuous. A pianist has to feel those filigreed, curlicued lines. While the concerto went by pretty smoothly – the BPO filled the sparse orchestral accompaniment with warmth – Han did not seem to be enjoying it at all. Her performance had an academic, clinical quality. Some notes were indistinct. She never acknowledged the audience. She just sat looking down, even through the long orchestral introduction, even when there was a smattering of illicit applause between movements. Out-of-place applause, incidentally, is something I never mind. It suggests there are new Chopin fans in the audience. I sort of envy them, hearing this beautiful concerto for the first time. I get a kick out of this corny old movie theme. I like how it is coming back into fashion for pianists to play, after decades of pianists catching hell for playing it. But this overblown Hollywood creation was long for an encore. Plus it was strikingly at odds with Han’s personality. When you play the “Warsaw Concerto” I do not want to see a score or a page turner, both of which she had. You can’t give it an academic approach. You just have to swagger out and play it. Still, you do have to respect all involved for playing this piece, damn the torpedoes. The concert repeats at 8 p.m. Saturday.